The fire killed an elderly man in the apartment in which the fire started. The blaze damaged 15 units in the 69-unit structure before firefighters could extinguish it. The name of the deceased man has not been released. 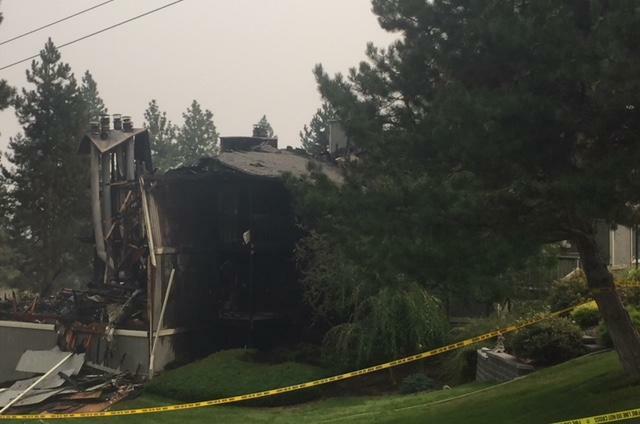 Three weeks ago, smoldering cigarettes caused a deck fire that spread and destroyed a single-family home in the 1300 block of South Wright Drive in Liberty Lake. On April 20, improperly discarded cigarettes caused a house fire in the 1100 block of North Girard Road. On March 14, an older man had to be rescued from his burning apartment in the 9400 block of East Montgomery Avenue after his cigarette ignited paper on the floor. And on Jan. 26, an older woman was pulled to safety by a neighbor after her cigarette smoking and oxygen use sparked a fire in her apartment in the 500 block of North Pines Road. Published: Aug. 21, 2018, 12:04 p.m. Updated: Aug. 21, 2018, 4:51 p.m.